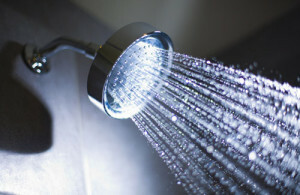 The comfort of a long hot shower can not have a value placed on it. Until your hot water heater stops working and it becomes a priority. Some homes are ready for tankless hot water systems and some people are not. We are ready to install either and to educate as to why some houses will find an advantage of one versus the other. If you are ready for a traditional water heater system, tank and all, we have some of the best brands that exist on the market. Bradford White and AO Smith. If you are shopping for a hot water heater with a shopping cart down the aisle of your favorite hardware store, you are looking at the exact middle of the options. There are more options, better efficiency available, and sizes that will accommodate your house perfectly, which you won’t find in your local hardware store. Here are only a few of the options. We need to have a little talk about tankless hot water heaters. If you want them, we can get them. Just as there are debates in your own home on whether to go tankless or not, we have this debate every day here in the walls of Huether. SOME of us really really like traditional hot water heaters and are not ready to drink the tankless kool-aid. The rest of us are ready to talk about options for tankless systems.